God listens to us when we pray! 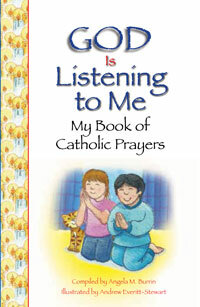 This collection features not only traditional Catholic prayers but also original ones that will encourage kids to begin to pray each day and learn how to talk to God as they would their best friend. Children are shown how to start their day with five minutes in their "prayer corner." 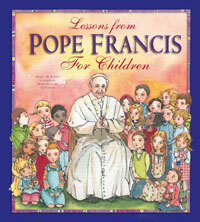 Morning and evening prayers as well as prayers to Mary and the saints are among the many prayers offered in this book. All the prayers that are recited for Mass are also included, as well as prayers for special days and events and short "one-line" prayers to say throughout the day. 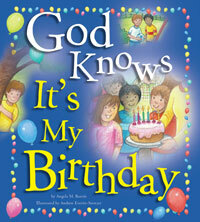 Delightful illustrations make this book a great gift for any Catholic child for any occasion. For ages 7 to 11.